Advising is something that many of us in the D.R.E.A.M. Office are passionate about! The D.R.E.A.M. Office provides a variety of services to support students who have faced historical, economic, and educational barriers. If you’re a prospective student—please reach out to us for advising or let us know if you’re interested in a workshop for your student group or organization. Not sure exactly what you want to ask? Check out our YouTube videos for questions you may not know you had! The D.R.E.A.M. Office currently has two professional staff—Durrain Ansari-Yan and Michelle Azurin—who are available for advising appointments. Both Durrain and Michelle are alumna of the MPH program, having been through and successfully completed the program, are happy to provide you with their insight! Connect with Durrain and Michelle through sphdiversity@berkeley.edu. The Graduate Recruitment and Diversity Services (GRADS) Program is the peer-advising arm of the D.R.E.A.M. Office. 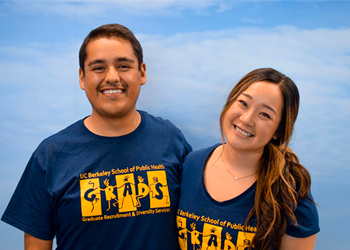 The goal of GRADS is to foster diversity within the student population at the School of Public Health by connecting prospective applicants with a team of student volunteers—the GRADS Ambassadors. Our GRADS Ambassadors are available to provide application advice, support, and a current student perspective over the course of the admissions cycle. The GRADS Program services are offered and available to all prospective students. We strongly encourage prospective students who are from a social or cultural background underrepresented in public health graduate education, or those who have faced challenges due to cultural or family background, economic resources, age, or other circumstances, to contact the GRADS Program. What services do GRAD Ambassadors provide? GRADS Ambassadors are available in person and via phone, text, or email to converse with prospective applicants as they navigate the application process. There are students representing the different academic and professional programs offered at the School of Public Health. 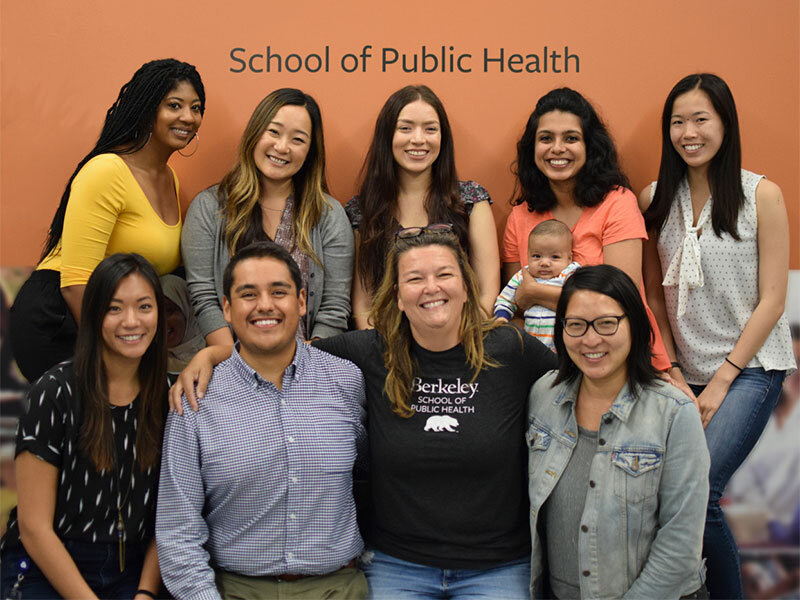 In addition, GRADS Ambassadors travel to graduate fairs, prospective student conferences, and other public health profession-related events across California. Our GRADS team is led by two stellar GRADS coordinators. They will be your first point of contact and help direct you to the appropriate ambassador or resource! Please email us anytime or call us during normal business hours to schedule an appointment or ask a question. We look forward to hearing from you! Students are welcome to come to the D.R.E.A.M. Office in Berkeley Way West to hang out, eat snacks, have lunch, and study on our couches! This is also where our biostatistics and epidemiology tutoring and librarian office hours take place. The Berkeley campus offers many wonderful resources for students; many provide support for particular groups of students. The links below will connect you to some of these resources should you find the need for additional support. The annual “Careers in Cancer Disparities Research” Summer Institute, part of the Minority Training Program in Cancer Control Research, takes place at UCSF and UCLA. Learn about Pre-Health Dreamers, a nationwide network of students, educators, and allies whose mission is to support undocumented pre-health students.